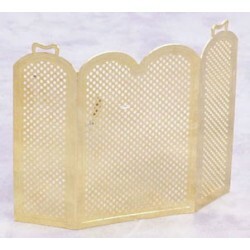 Redecorate and redesign your dollhouse with this Firescreen Brass. Your decor and collection of miniatures will be taken to another level of fabulosity. 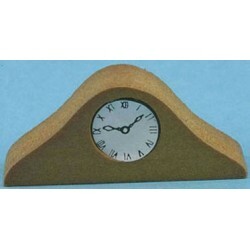 You will love this TABLE/MANTLE CLOCK as it complements your other miniature dollhouse furnishings. Now is the time to design a great new look! Adding this MANTLE CLOCK to your miniature collection is just what you need to make your dollhouse a home, and showcase your fabulous taste. 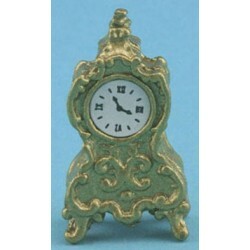 You will love this Gold Mantel Clock as it complements your other miniature dollhouse furnishings. Now is the time to design a great new look! 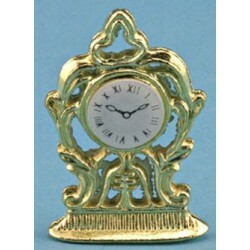 Dollhouse Gold Mantle Clock from our assortment of Miniature Fireplace Accessories. 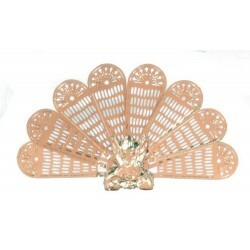 Adding this BRASS PEACOCK FIRESCREEN MH3000 4H to your miniature collection is just what you need to make your dollhouse a home, and showcase your fabulous taste. 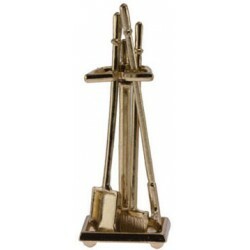 You will love this FIREPLACE TOOLS as it complements your other miniature dollhouse furnishings. Now is the time to design a great new look! 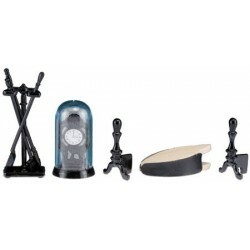 Enhance your dollhouse collection with this Black Fireplace Accessories. Added to your other dollhouse miniatures, it is a complement for a variety of styles and tastes. 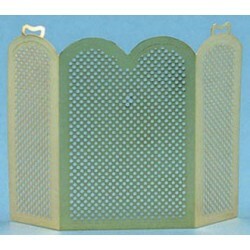 You will love this Brass Fp Screen as it complements your other miniature dollhouse furnishings. Now is the time to design a great new look! 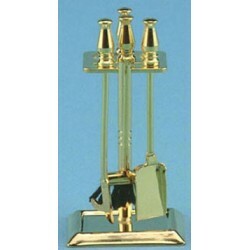 Adding this Brass Fireplace Accessories to your miniature collection is just what you need to make your dollhouse a home, and showcase your fabulous taste. 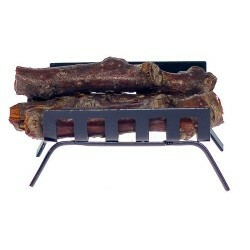 You will love this LOG HOLDER W/OUT LOGS as it complements your other miniature dollhouse furnishings. Now is the time to design a great new look! 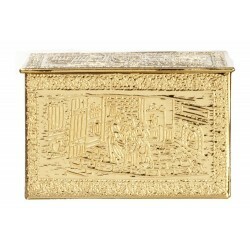 Adding this Brass Logs Box to your miniature collection is just what you need to make your dollhouse a home, and showcase your fabulous taste. 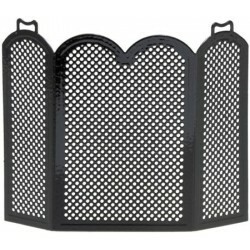 You will love this Black Peacock Fireplace Screen as it complements your other miniature dollhouse furnishings. Now is the time to design a great new look! 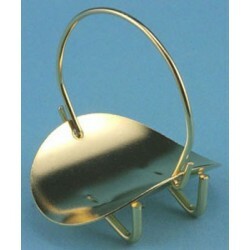 Enhance your dollhouse collection with this Metal Logholder w/logs. Added to your other dollhouse miniatures, it is a complement for a variety of styles and tastes. 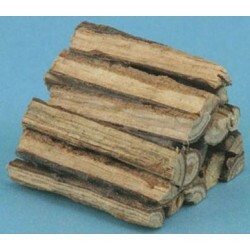 You will love this FIREPLACE LOGS as it complements your other miniature dollhouse furnishings. Now is the time to design a great new look! Adding this Black Fireplace Screen to your miniature collection is just what you need to make your dollhouse a home, and showcase your fabulous taste. 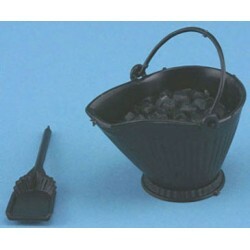 You will love this COAL SCUTTLE WITH SHOVEL & COAL as it complements your other miniature dollhouse furnishings. Now is the time to design a great new look! 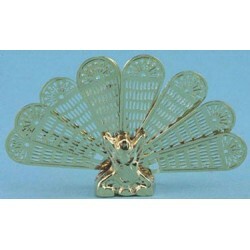 Adding this Brass Peacock Fan to your miniature collection is just what you need to make your dollhouse a home, and showcase your fabulous taste. 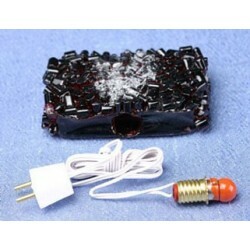 Spruce up your dollhouse with this miniature Glowing Embers. We have many miniature Miniature Fireplace Accessoriess for that finishing touch.